Joshua Tree’s geology captivates every visitor who sets foot in the park. The scenery is mythical, hallucinatory and paranormal all at once. Ragged mountains tower above broad valleys filled with spiky, twisted Joshua trees. Surreal granite rock formations, some resembling giant piles of dripped wax, dot thousands of acres of scrubby landscape. Contorted faces and bizarre animal shapes seem to appear in the cracks of the rocks. Add a couple of melting watches and Salvador Dali would feel right at home in Joshua Tree. You don’t need to know anything about geology to enjoy the scenery here. But take the time to learn about the forces that sculpted the landscape, and you’ll look upon the park with a fresh set of eyes. The seemingly fixed scenery rolls into motion. Mountains wash away like piles of sand. Ice Ages come and go like snowstorms. And 70-ton boulders dissolve like sugar cubes as you stare across the park. The story of Joshua Tree’s geology begins nearly two billion years ago, when Earth was about half its present age. As eroded sediments washed off ancient continents into the ocean, thick sediment layers accumulated in the waters offshore. Over time, the bottom layers were compressed and fused into sedimentary rock. Then, around one billion years ago, Earth’s continents collided to form a single supercontinent called Rodinia. As the continents collided and smashed into one another, they crumpled along their edges to form vast mountain chains. Some of the previously formed offshore sedimentary rocks were caught up in these collisions, which generated extreme heat and pressure. Over thousands of years, this heat and pressure metamorphosized the sedimentary rock into an entirely new kind of rock called gneiss (pronounced “nice”). The gneiss that formed in the Rodinian mountains is the oldest rock found in Joshua Tree National Park. Similar types of gneiss are also found in Australia and Antarctica, indicating that a chain of Rodinian mountains once stretched across all three continents when they were fused together. Then, around 800 million years ago—200 million years after the formation of Rodinia—Rodinia broke apart. North America drifted toward the equator, and Joshua Tree’s gneiss most likely became part of an offshore continental shelf. For the next 250 million years, the Joshua Tree region lay underwater. Around 280 million years ago, Earth’s continents came together again and formed another supercontinent called Pangaea. The Joshua Tree region lay just off the northwest coast of Pangaea, and additional offshore sediments accumulated on top of it. When Pangaea broke up about 210 million years ago, North America drifted west and collided with a vast tectonic plate called the Pacific Plate, which underlies much of the present-day Pacific Ocean. The collision pushed the Joshua Tree region up above water. It also generated intense heat and pressure that exposed the previously formed gneiss to a new round of metamorphism. 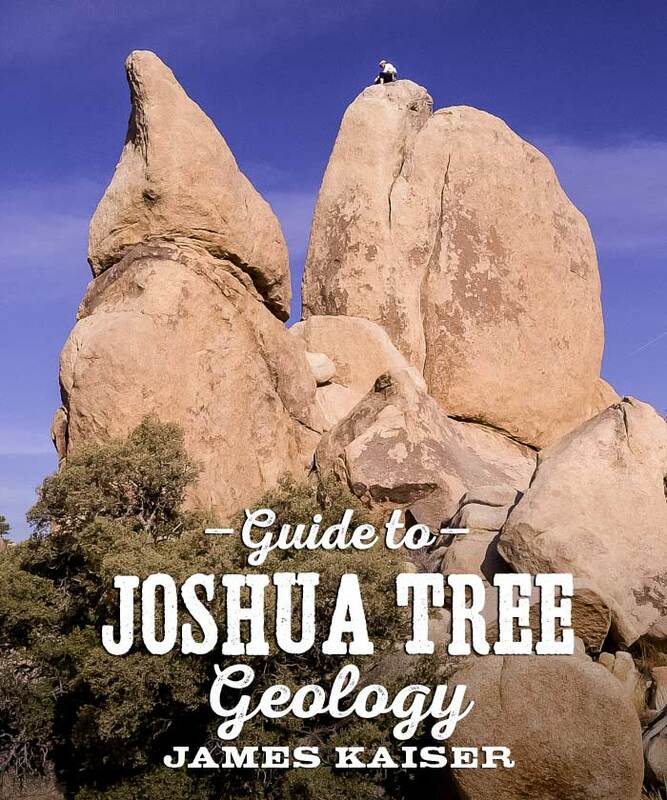 Learn more about Joshua Tree National Park geology! 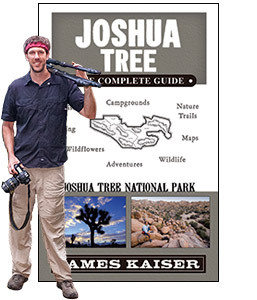 The best-selling Joshua Tree guide for over a decade! 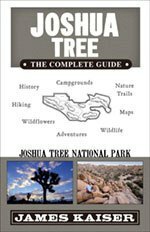 “If you’re even slightly curious about Joshua Tree, definitely buy this book.” —Tony M.
The bestselling guide to Joshua Tree for over a decade! My full-color guidebook is filled with insider tips. Save time & money!